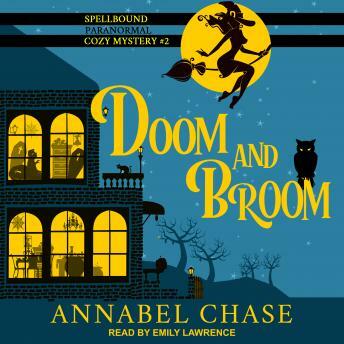 Emma Hart hasn't had a moment's peace since her arrival in Spellbound. Her fear of heights hits an all-time high when she's tasked with mastering a broomstick. It doesn't help that Lady Weatherby seems determined to make basic witch training feel more like the magical ninja warrior championships. When a werewolf is found dead and Daniel is named as the prime suspect, Emma takes the initiative to prove that the angel's halo is firmly intact, once again stepping on the hooves of the cranky centaur, Sheriff Hugo. The heat is on as Emma struggles to get a grip on her broomstick and identify the killer before it's too late.